Nintendo’s absurdly anticipated SNES Classic console launched today, but somebody’s already ripped Star Fox 2 to a handful of original SNES cartridges, listed them on places like eBay and Etsy, and sold them. Star Fox 2 was completed decades ago, but not officially released until today. The seller of this homemade regular SNES version, lvretrogames, wrote that they tested it on an original SNES, and it “works great.” It does not, however, have a battery slot for saving high scores. 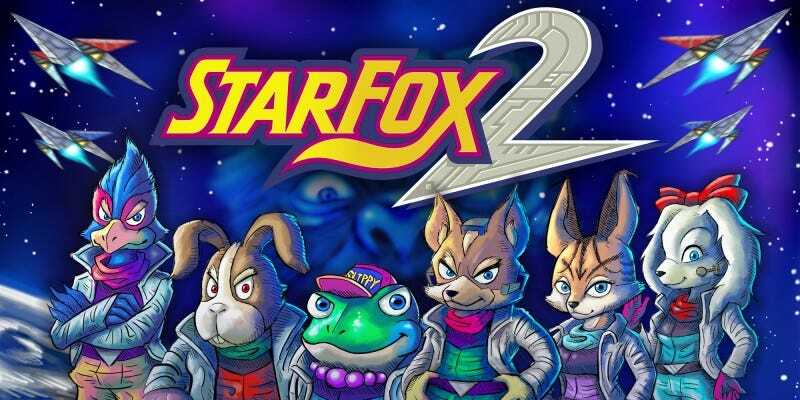 It’s worth noting that somebody leaked Star Fox 2 this week, and the ROM got dumped online a day early. That could’ve had something to do with this. Still, it’s 100 percent nuts that somebody’s already done this when I’d wager that many people haven’t even opened their SNES Classics yet. For now, the seller’s only sold a few, but I’d wager there’ll be more before long.